I was so undecided as to what to make for supper. I knew I had wanted something quick and uncomplicated. I had a good idea of what meats I had in the freezer so it was just a matter of deciding what we had a craving for and something we had not had in a long time. Thinking about my mother and what she use to cook this recipe came to mind. My mother was a tremendous cook. Always trying something different and always coming up with new recipes. Her interest was vast and she was always willing to try something new. I remember many years ago she decided to take a Chinese cooking course at the multi cultural center. Boy, were we ever glad she did. The things she use to make were a zillion times better then you would get at any restaurant. At that time there weren’t too many Chinese restaurants around. I can think of only one which now no longer exists. Where she ever got the notion to step ahead of her time and her generation to take this course was a marvel and pure genius. It was unheard of at the time. She was always taking one course or another. Her friends would call her and get her advice on how to do things and she was always so willing to share what she had learned. I am so proud of what she accomplished. There has never ever been anyone like her or will there ever be. This recipe is my adaptation of one of my mothers recipes. I love to use skirt steak for this recipe, but any will do. Cut it into thin strips against the grain. Grate 1-2 cloves of garlic and mix it into the meat, along with 1/4 cup of soya sauce. Cover and place into the fridge for at least 2 hours. If you like it can be left over night. 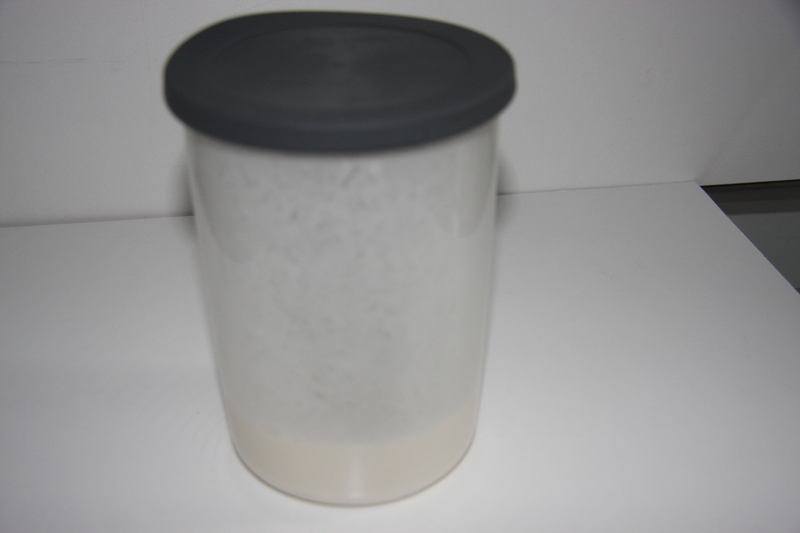 Prepare a slurry by adding 1/2 cup of flour and 1 cup of water into a jar of some sort. Mix real well until no more lumps. Set aside. Cover with boiling water and let them sit until al dente to your liking. I like to taste the noodles to see if they are soft enough for me. Heat a couple of glugs of olive oil into a fry pan at a medium high heat. Add the steak and fry for a couple of minutes, add 1/ 4 cup of wine, stirring to coat the meat and letting the alcohol burn off. 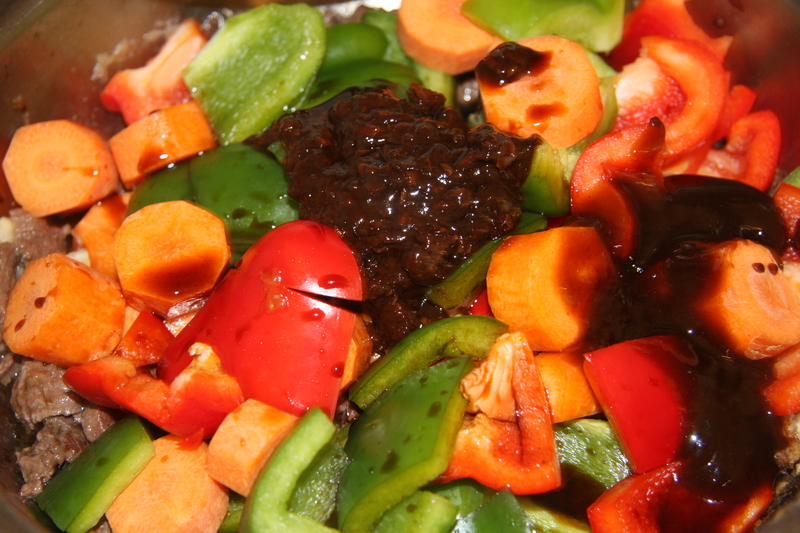 Next add all the veggies along with, 1 teaspoon oyster sauce, 1- 2 teaspoons soya sauce and 1 teaspoon tamara sauce. 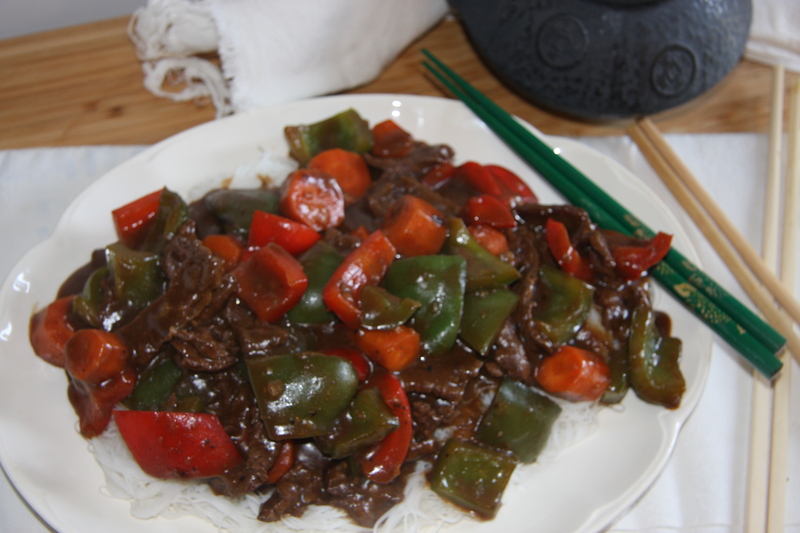 Another ingredient that is fabulous in this is sriracha sauce, which can be added now. I add mine later on my plate. This way I am still able to enjoy it while others can’t. Give all of this a real good stir and partially cover for about 4-5 minutes. When veggies are al dente to your liking, add the slurry and working quickly stir until everything is well coated. 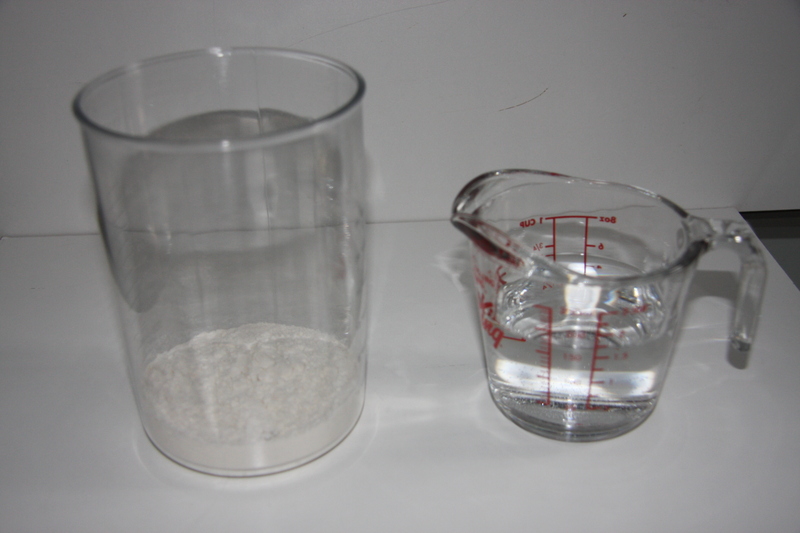 If you find it is on the dry side add more water but continue to stir. If you find it is too runny now add a little more slurry. I usually make extra just in case this happens. Take off the heat. Drain your noodles, place on a platter and top with the meat and veggie mixture. 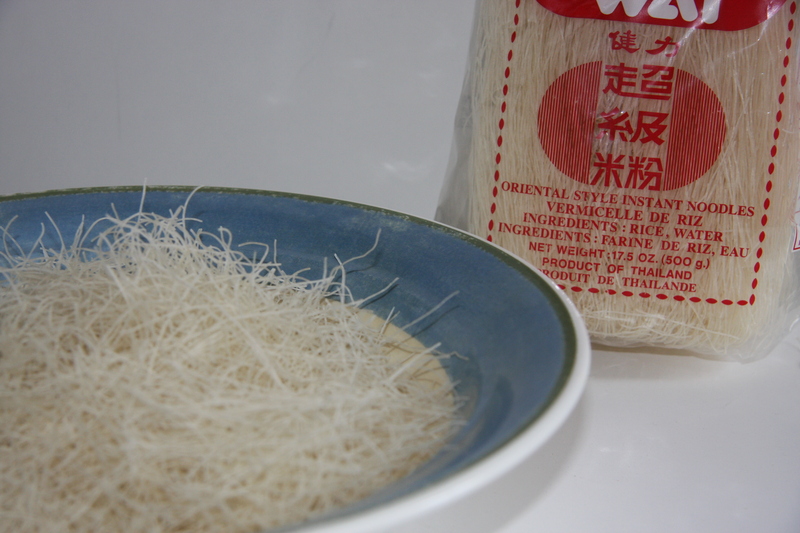 Place vermicilli rice noodles into a large dish or pot and add boiling water. Cook according to instructions on package. Set aside. 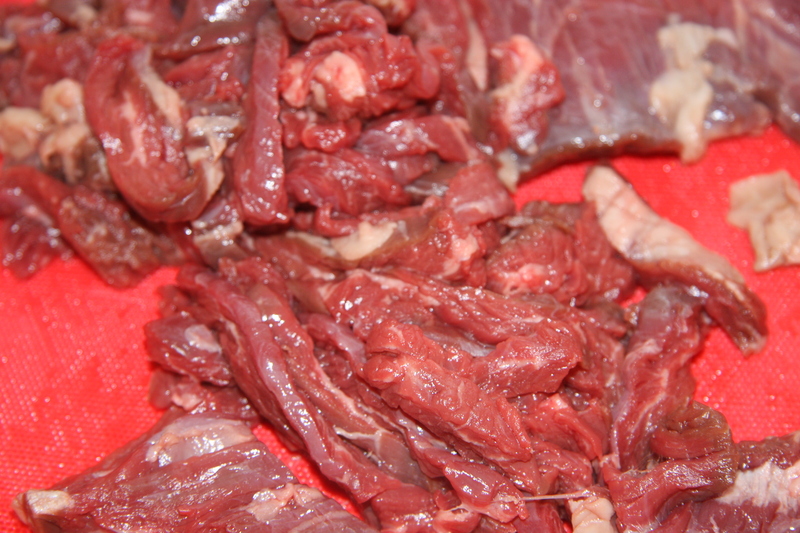 Slice the skirt steak into strips, add garlic and soya sauce and let it marinade in the fridge for at least 2 hours. 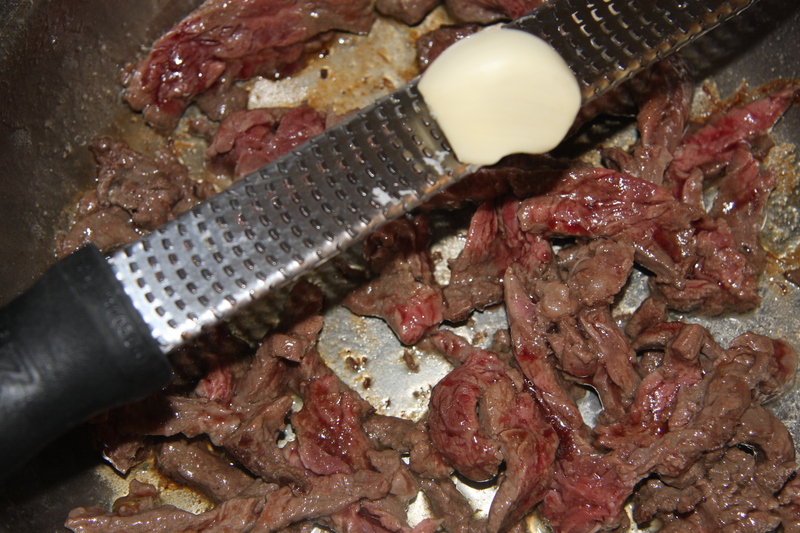 Into a hot pan with heated olive oil add the skirt steak. Fry until almost done, add the onions and fry for a couple of minutes. Next add all the veggies stirring until all the ingredients are combined. 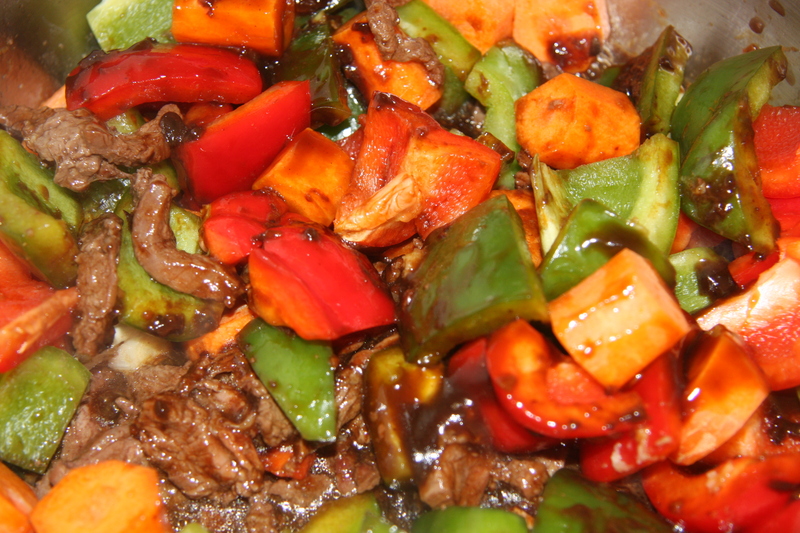 Add soya sauce, tamara sauce, oyster sauce and sriracha sauce while stirring everything together. Keep stirring until the veggies are as soft as you want them. You may add extra oil if needed. Also at this point if it is a little dry add a touch of water. 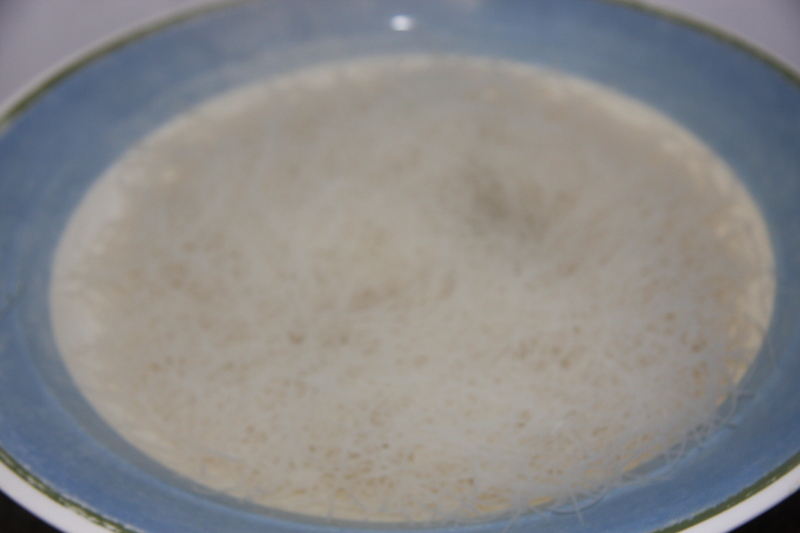 If you want a nice gravy so to speak for your noodles add about 1/4 – 1/2 cup of water. I also like to partially cover this at a lower heat for a few minutes and steam fry my ingredients. Right at the end, add part of the slurry and mix very quickly if not thick enough add more. If you find it too thick then just add more water. Play around with it until you get the consistency you want. 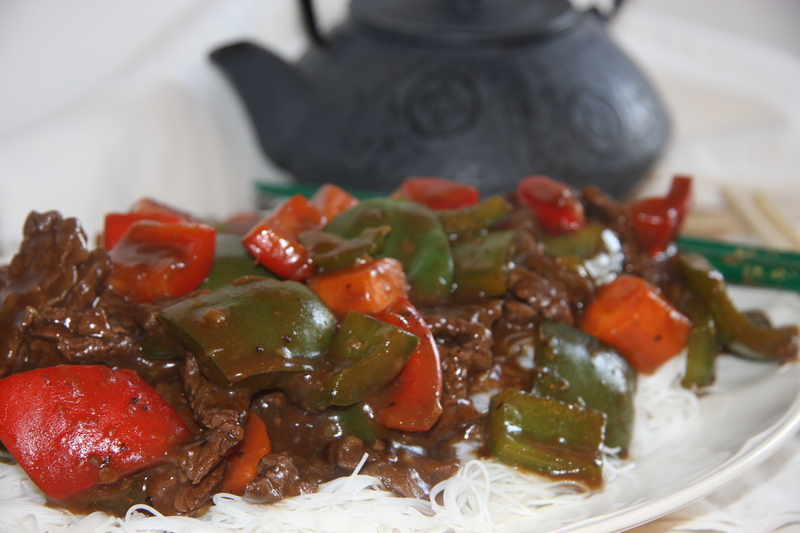 Drain the noodles, place on a serving dish, top with the stir fry ingredients and just enjoy!